Know someone who dreams of living the lush lifestyle of a travel blogger? Well this could be their big break! 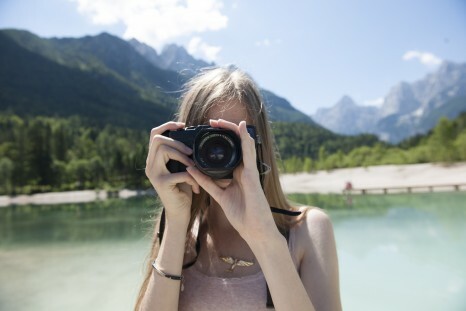 Busabout, the expert in flexible travel, is seeking a team of four talented travel addicts to Snap, vlog, blog or Insta their way across Europe this summer for an all-expenses paid adventure worth $9,000! Whether the candidate is a pro at capturing the perfect angle to make a picture pop, or a master at inducing FOMO in a 10 second clip, there’s a spot on the squad for them. Each member of Busabout’s Ultimate Travel Squad will be selected based on their talent for creating content in their chosen social platform; one Instagrammer, one blogger, a vlogger and a Snapchatter / Instagram Stories creator. If this sounds like you and your best mates, you can even enter as a group! Last year, Busabout was on the hunt for two travel addicts, a Brand Ambassador and Video Producer, to fill two positions advertised as the Best Job in the World. This summer, the opportunity is bigger and better than ever as Busabout is doubling the number of places available by creating a whole squad of hungry content creators. The selected four members of the Ultimate Travel Squad will explore Europe on Busabout’s Hop-on Hop-off private door-to-door coach network over three months, from early June to early September 2018. Each member of the squad will experience an unforgettable adventure worth $9,000, which includes an Unlimited Hop-on Hop-off Pass, accommodation, spending money plus a bonus fee at the end of the trip! Return flights from Australia will be included on top of this. 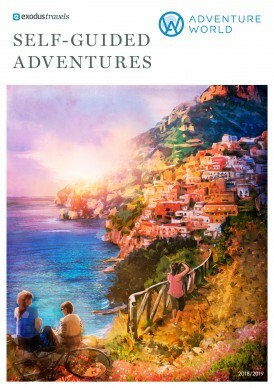 Adventure World has released its 2018/19 Exodus Self-Guided Adventures, with 13 new cycling trips giving travellers the chance to explore the UK, Europe and Ireland at their own pace and truly enjoy their surroundings. Clients will be able to truly immerse themselves in the culture and make their moments matter with these independent journeys, as well as the ease of having their accommodation pre-booked and luggage transfers taken care of. Additionally, Exodus also provides a local representative in 16 European regions, providing support and guidance on their self-guided holiday for a traveller’s peace of mind. New for 2018, cyclists will have access to the RidewithGPS app, meaning guests can directly download route directions via their phone prior to travelling. Cyclists can listen to the audio instructions en route (similar to a car Sat Nav) and bikes are fitted with a handlebar-mounted phone holder for convenience and to allow for visual alerts to appear. 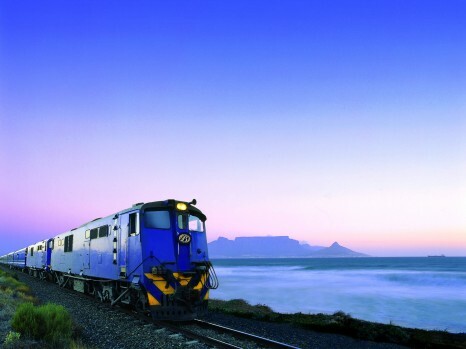 World Journeys report that the popular Blue Train in South Africa is enhancing their experience in 2019 by making it a two-night journey between Pretoria and Cape Town. As well as an extra night’s accommodation onboard arguably the most lavish train on the planet, the new itinerary will also now include a guaranteed two and a half hour off-train excursion in Kimberley, and a wider variety of menus to choose from due to the extra meals served. 2019 rates on request and itinerary includes two night’s luxury accommodation; all gourmet meals and beverages, snacks and high tea; and guided sightseeing in Kimberley. To view the new 2019 itinerary CLICK HERE or call World Journeys 1800 155 044. For a limited time only, Rail Plus is offering 50 per cent off companion fares on the Belmond E&O for selected March and April departures and all departures between September and December 2018. That amounts to savings of up to a whopping $2000, which agents can pass on to travellers! 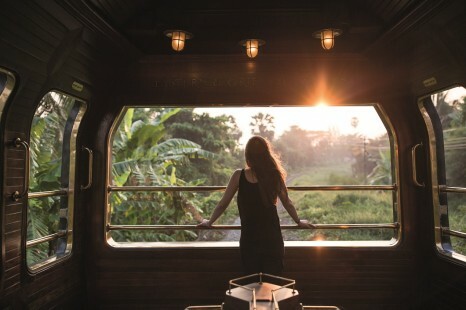 Journeying between the vibrant and modern cities of Singapore and Bangkok, passengers will not only enjoy the contrasting landscape of this South East Asian peninsula as the train passes through a series of quaint villages, winding rivers and ancient temples, but also indulge in the incredible flavours of this region. The 3D/2N journey from Singapore to Bangkok will depart on 10 March and 23 April, while the 4D/3N journey from Bangkok to Singapore will depart on 14 March, 6 April and 27 April. Agents should note that space is limited and bookings are based on twin share in the Pullman and State Cabins only. With a booking deadline of 25 April 2018, the promotional code is EC50. Eurail and STA Travel are rewarding travelers in March with extra days of rail travel and the chance to win a trip around Europe. Eurail Passes purchased between 1-31 March through STA Travel will receive up to an additional five days of travel for free, allowing customers to see even more of Europe for less. More information can be found here: http://www.statravel.com.au/rail-travel.htm. Eurail and STA Travel have also launched an exciting competition on Thursday 1 March which gives entrants the chance to win flights to either Paris or Amsterdam, two First Class Eurail Global Passes that can be used in over 10,000 railway stations across 28 countries, and $1500 spending money. Entry into the competition is open to Australian Passport holders and permanent residents over the age of 18, with the exception of South Australian and Northern Territory residents. Entries close before midnight on 31 March. Entrants must complete the sign-up form at www.statravel.com.au/competitions.htm. 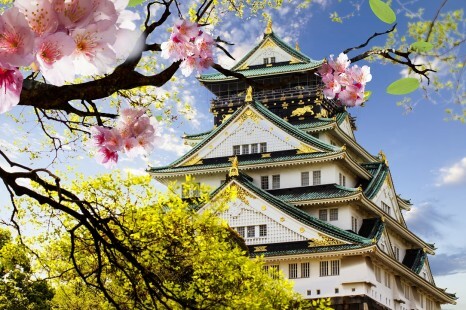 Until 29 March 2018, Rail Plus will reward travel agents with quadruple commissions on all Japan Rail Pass bookings. This takes the previous 1.5 per cent commission offer up to six per cent, making it the highest in the Australian market. Agents can also take advantage of the newly reduced prices and pass on the savings to their clients. There are eight types of Japan Rail Passes available and they can all be booked three months in advance. To find out more, agents can visit the website, call 1300 555 003 or get in touch with their local BDM.